I’ve been looking for a backpack with a more ‘grown-up’ feel to it for a while. 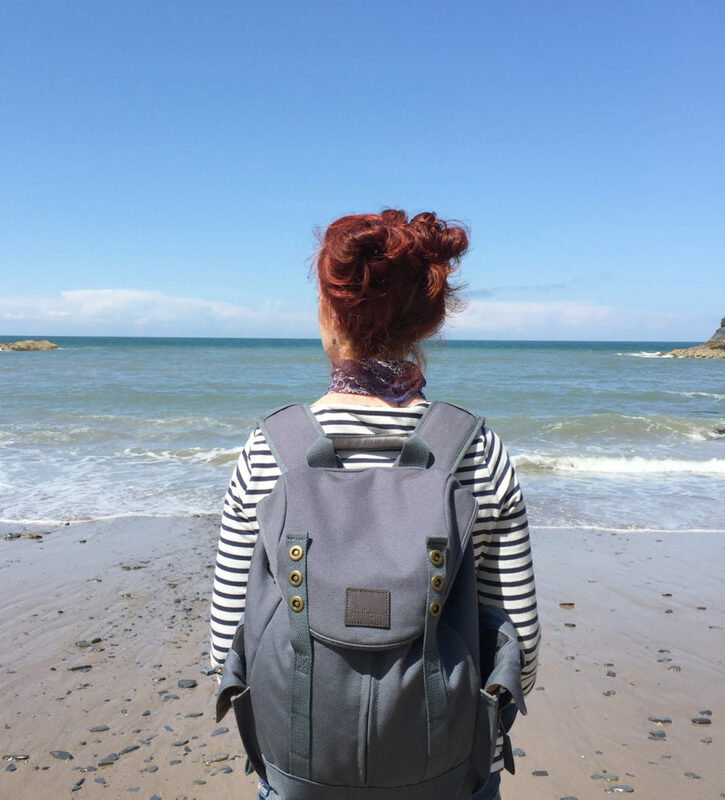 I’ve had the inconvenience of shoulder and back discomfort for some years, and was looking for a backpack, with wide shoulder straps – for that even distribution. 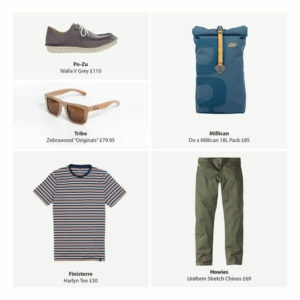 I came across Millican bags through the ethical footwear brand Po-Zu.com. I spotted the DO X MILLICAN 18L ROLL PACK – BLUE featured on their blog and I was drawn to both the design, and the ethics of the brand. 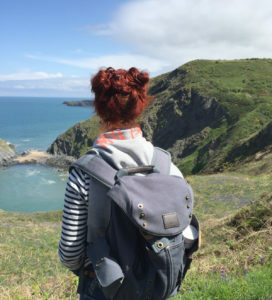 Millican bags provide an ethical alternative for the backpacker. Focused on the conscious traveller (or indeed those prone to mindfulness) these bags set the benchmark in sustainable fashion. Inspired by the Lake District legend Millican Dalton, Millican (the brand) believe that using less, makes more, and this is reflected in their conscious selection of sustainable materials. Even better, the bags are both stylish and extremely functional. The rucksack I’ve been using, is called the Matthew Day Pack and made from 100% weatherproofed organic cotton canvas, and vegetable tanned leather with a grab handle on the top. The backpack has three internal pockets, including that laptop sleeve. There’s a ‘secret’ zipped pocket for valuables underneath the lid, which was a delight to find, and best of all, so comfortable to wear, the adjustable wide shoulder straps mean that you really just don’t know you’re wearing it! and with both kids heading for secondary school in September, this has me planning early birthday presents for both of them! My experience has been totally positive. 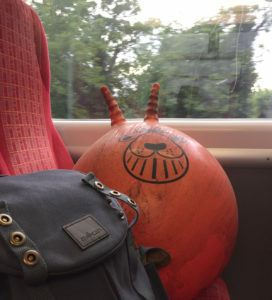 Curiously named, the “Matthew” (but not quite as curious as ‘Dave’ Matthew’s slightly larger friend), my backpack has accompanied me on a variety of both urban and rural adventures. Having stuffed it with a variety of day time essentials (lunch, camera, etc), the bag holds strong. Super comfortable, thanks to the padding both on the straps and the backing. It is simply a sustainable essential for any adventurer with an ethical mindset, and a heavy-ish load. 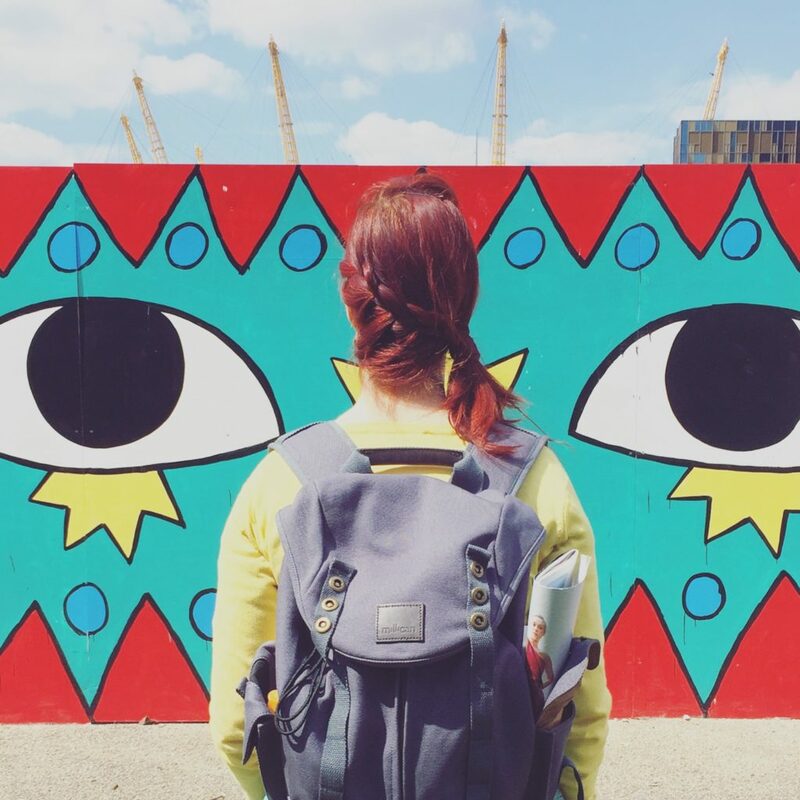 take a look at Po-Zu’s blog post for some more ethical fashion ideas. Click here.